I've been able to sew almost everyday for the last few days. It makes me sew happy! Where has Summer gone? I can't believe it's already September. I plan on doing lots of sewing and getting UFOs done before the end of the year. If you've been following me on Instagram, you know I've been doing lots of late night sewing. It's just so peaceful and quiet. Just me and the humming sound of my sewing machine. As I was sewing along, I ran out of top thread. You know that feeling when happily sewing and you notice something is not right? 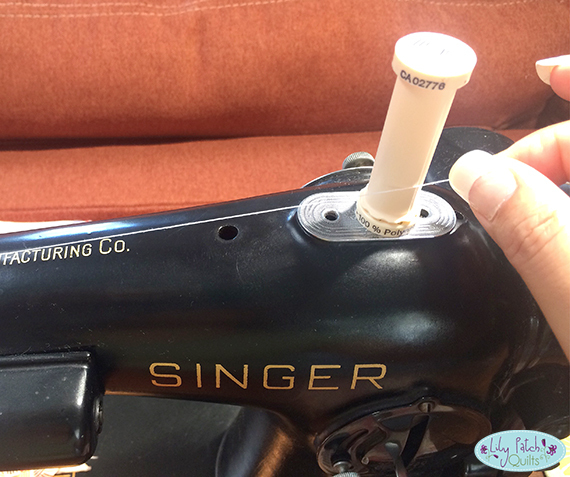 It's either the bobbin or the top thread that ran out and you have to re-sew what you thought you've just finished. That's been happening a lot lately around here with my marathon sewing. So, I have been catching up on the Summer Solstice quilt along. 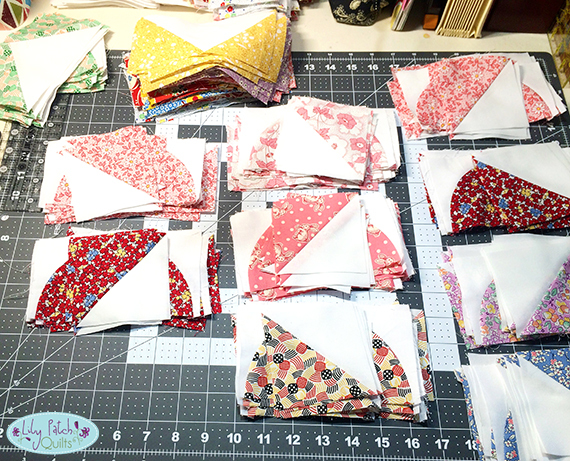 I sorted the blocks and made piles so I know which pieces go with what and what else I have to sew. This is only nine of the sixteen blocks I would like to sew. Lets see how it goes as I get these blocks put together and go from there. I hate when I run out of thread, have fun!